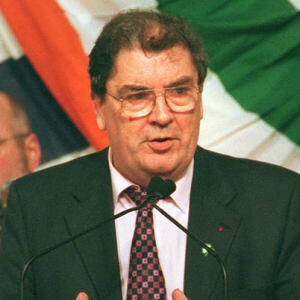 You may or may not know that former Northern Irish politician John Hume, is an alumnus of St Patrick’s College Maynooth and thus has close connections with Maynooth University. There’s a building named after him, for one thing. He is regarded as one of the most important figures in the recent political history of Ireland and one of the architects of the Northern Ireland peace process. 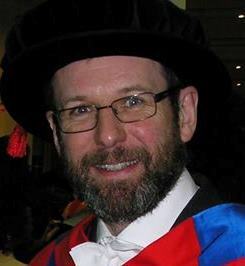 The co-recipient of the Nobel Peace Prize with David Trimble in 1998, Hume was also recognised with the Gandhi Peace Prize and the Martin Luther King Award – he is the only recipient of all three major peace awards. In 2010, he was named ‘Ireland’s Greatest’ in a public poll by RTÉ. It is fitting that Maynooth University recognises the contribution of John and Pat Hume to peace on the island of Ireland. One of the most important manifestations of the connection between John Hume, his wife Pat Hume, and Maynooth University is a programme of Doctoral Scholarships, which are now being advertised for entry in September 2019. These are available to fund a PhD in any academic discipline so I encourage anyone interested in doing graduate research to have a look at the details which can be found here. Maynooth University is particularly keen to encourage more women to pursue careers in STEM disciplines, so we particularly encourage female applicants. If there’s anyone out there who might be interested in doing a PhD in Theoretical Physics or Astrophysics please feel free to contact me directly! And I’d be very grateful if others who see this could draw it to the attention of potential candidates.